scrapbook of newspaper clippings and other resources. meetings, and promoting the formation of the River Road Parks & Recreation District. recreation park for the River Road area. In 1953 Dorothy Fuller was named Secretary of the Park Board. From 1953 to 1955 the recreation activities consisted mainly of a Summer Program at the River Road Elementary School under the guidance of a part time recreation director and staff. 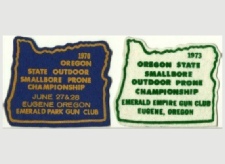 In January of 1954 the Park District purchased nine and one-half acres of park land and a cottage at 1400 Lake Drive in Eugene, Oregon from Mr. & Mrs. Ervin Nelson for the sum of $25,000. Judy Ann Frank, won the $50 defense bond prize for submitting the winning name. 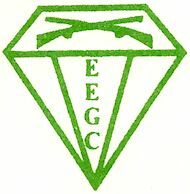 On June 5, 1955 a dedication is held for Emerald Park. Dr. William C. Jones of the University of Oregon gave the dedication address. 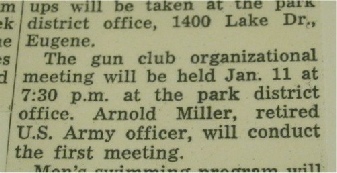 On January 4, 1956 a newspaper clipping mentions Park District Rifle Club. On January 9, 1956 Dorothy Fuller was chosen as Park Board President. 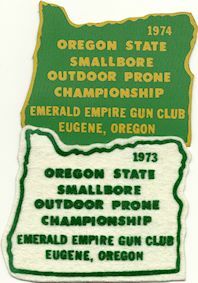 In 1960 the Park District held archery classes. 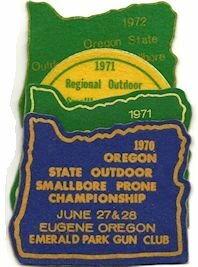 An archery tournament in 1961 had 48 youth participants. 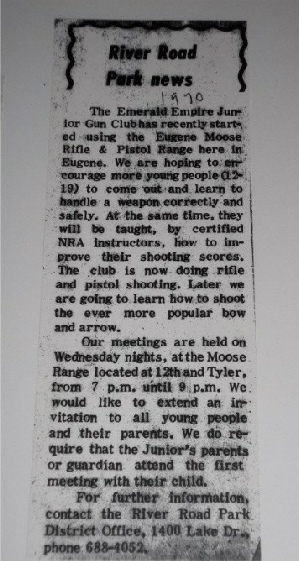 In 1964 the Park District announced a summer rifle safety program. Road Park District 10th Anniversary. That must have been a sight. up the land and making it useable. the land transfer which occurred on May 20, 1966. 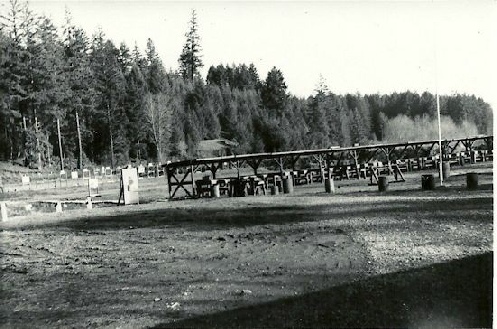 On June 20, 1966 the Park District day camps and summer camps began at McGowan Creek. 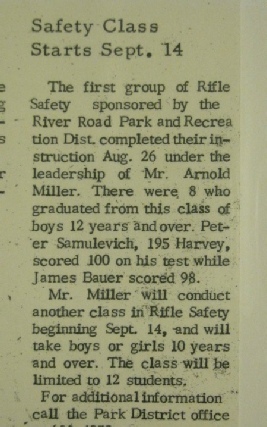 On August 6, 1966 Arnold Miller gave a shooting exhibition for the Emerald Park Gun Club at River Road Park Jamboree. (This is where LtC Miller split a playing card edgewise with an air pistol pellet). article has two interesting pictures of the public range. 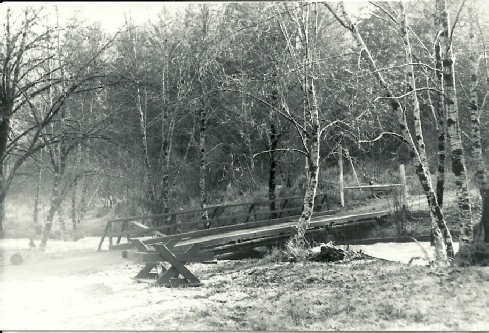 name the park at McGowan Creek. 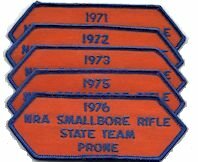 shoot at until our indoor range was completed in the mid 1970’s. 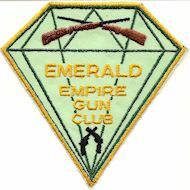 for the Emerald Empire Gun Club from 1973 by clicking here. 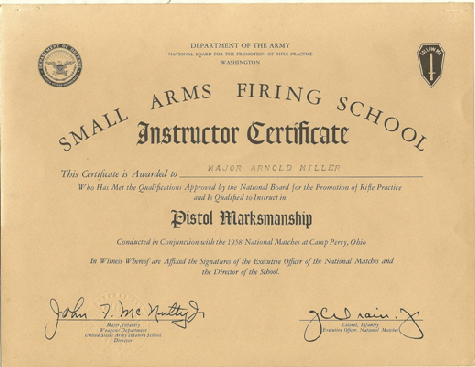 The original bylaws were written by Arnold Miller and approved by the NRA. 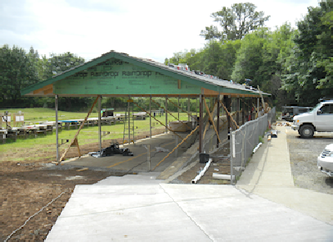 necessary to build the range shack, the first benches, signs, and the smallbore target frames. for expansion of our 200 yard shooting range. with certain use restrictions and the plan to continue to hold its summer camps on the property. and 15th in the overall competition. They were coached by Emmett O’Connor. 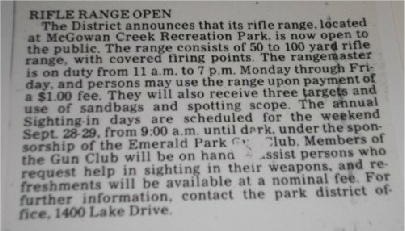 The cost of shooting on the public range was $2 per person in 1987. You can see one of our early posters for Sighting-In Days by clicking here. A copy of a range map from 1989 can be viewed by clicking here. Summer Biathalon Event, officially sanctioned by the United States Biathlon Association. You can read the 1990 flyer by clicking here. 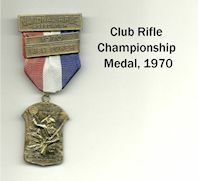 In 1992 club dues were $17.00, NRA dues were $23.00, and the work bond was $25.00. deductible but the club does not have to pay certain types of taxes. were being made, the club used the opportunity to update the inside of our clubhouse. 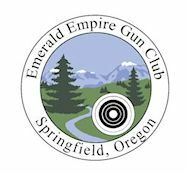 especially the junior shotgunners of YHEC and SCTP. 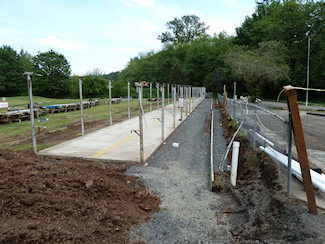 August 15, 2013 - Work begins to clear the ground for the new caretaker residence.